Tasty Sandwiches, Salads and More! Looking for a special luncheon or early dinner? 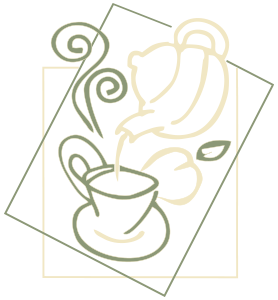 Sugarplums and Teas has a nice selection of delicious sandwiches, fresh salads and special treats that will go perfect with your favorite cup of tea. Top it off with one of our sugary pastries and we promise it will make your day a special one! Occasionally we use medium rare roast beef in our tea sandwiches. Although we use extreme caution in all food preparation, state law requires that we inform the public that consuming raw or undercooked food may cause illness. All served with a Pot of Tea. A pleasant surprise every month. Note: There is a $3.95 charge to split a Courtyard Tea.